Also in attendance was manager Orlando Piñero, trainers Álex Caraballo, Jesús “Tongui” Ortiz, Yoel “Yowy” González, Félix Pagán Pintor, Armando Álamo, Efraín Román, Eliezer González and Edwin Delgado. The professional boxing referees Luis Pabón, José Hiram Rivera, Melva Santos and Roberto Ramírez,Jr were also present, as well as professional boxing judge Luis Ruiz. 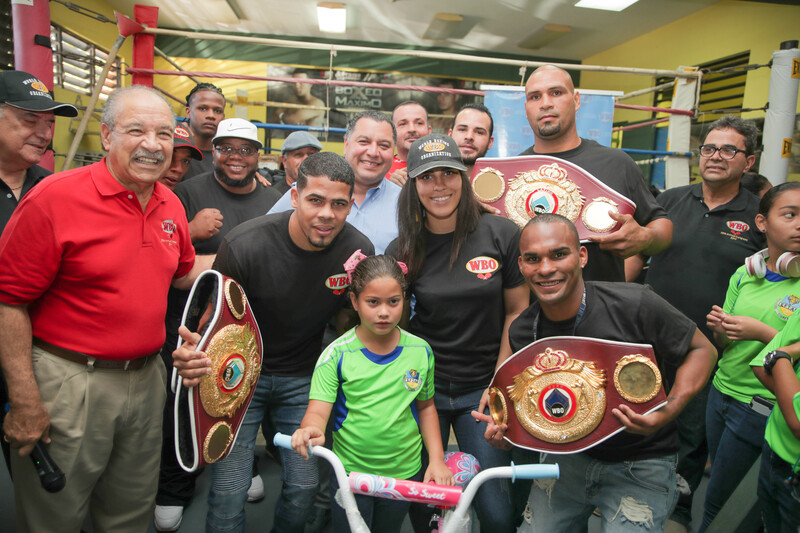 From the WBO, other than Valcárcel, legal advisor Gustavo Olivieri,Esq, treasurer Adolfo Flores, and the Vice Chairman of the Championship Committee Enrique Mendoza, Esq were also in the activity.